For five years (2001-06) my wife, Lorraine, and I made lecture tours from city to city across Canada speaking to organizations, as well as in homes and schools. We also invested quality time discussing, researching history and interviewing people of different cultures living outside of Quebec. We got to know people better as we accepted their call to peer at life through their window. We were shocked to learn that we hardly know each other. It was a fruitful investment, and a beautiful story developed. Posted by Heart Cry for Quebec in Donald's book on Reconciliation. Comments Off on Quebec… a revealing story! When we survey our history beyond the politico-economic window, taking a fresh look at relationships among French, Native and the varied English-speaking peoples of Quebec and Canada, some questions arise concerning the values underlying their coming together and pursuit of happiness. As French and English settlers arrived in America, the old, ongoing European conflicts, their slavery-influenced attitudes toward the indigens (“the Indians”), the Catholic religious intolerance toward French Huguenots and English Protestants and the European bent towards possession and business opportunity at any cost poisoned the relationships among the three founding nations. Didn’t our original history books assert that France came to “civilise” and “evangelize” the Indians of America in the name of God? 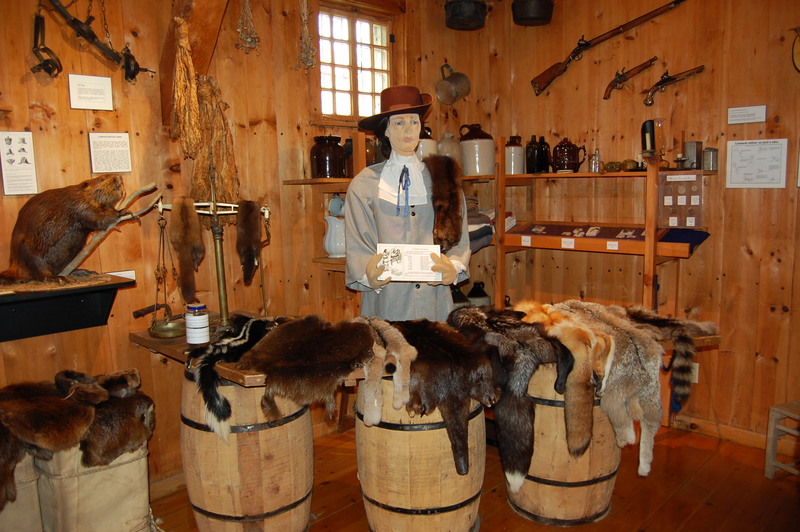 A closer look reveals that the Indians were indispensable to the lucrative French and English fur business. We also discover that the relationships between the “mother” country, France, and her settler “children” were exceedingly dysfunctional. At the British Conquest (1760), Quebec, abandoned in deep pain and fear, wonders how “mother” could have used, cheated, abandoned and, most tragic of all, sold her children to the English, their “eternal enemies,” for some offshore fishing banks? The landmark conquest and the threat of an American invasion launched Canada. We observe the first steps of a hurting blended family that has yet to resolve the relational pains of ancient and recent origin. The “children’s” relationships are characterized by ongoing dealings aiming to get material gain and “reasonable accommodation” for their disparate cultures. The centrality and strength of the Catholic Church in the life of French parishioners ensured their lifestyle would remain isolated – separated– from the English alternative, keeping them out of the business and market place. It held the schools back from progressive ideas, while calling on families to “make babies” and be content living with only “a little bread” as farmers. This became the ideal, in reality the “survival formula,” for the French Catholic parish. The Quiet Revolution (1960) became a wake-up call for the orphan, the Québécois people who were largely still hurting in silence. The government, shifting its vision to modernity from that survivalist parish mentality, set its focus on freedom and material advancement. Clergy in leadership were displaced by professionals, and God’s Providence by “L’état providence” (modern welfare state). The Québécois began abandoning the Catholic Church, pursuing instead the secular “religions” of pleasure (hedonism) and the Nationalist venture. Where would this lead Quebec? Imagining Quebec as a person, we note that his lifestyle, relationships and achievements reveal a hurting orphan whose soul is bleeding while he searches for identity. Who is responsible for his misfortune and pain? Is he still hoping to find a scapegoat for these? Or, in his quest to make life work for him, might he open a new window, a “Window of Hope…and Reconciliation” and rise to the personal challenge of the vision it provides? If the Québécois have been an orphan foster child in the blended Canadian family, and if Reconciliation is crucial for the recovery of the blended family, then the question arises, “What does this make the First Nations, Inuit and Métis people who live in Canada?” Certainly they are a child or children in the blended Canadian family. Perhaps they could be viewed as foster children with only Earth for their natural mother, but through her, they have a prior claim on the orphanage facility itself—one that none of the other Europe-based children have. If this comparison is true, the new parent (Mother England) can be imagined moving into the orphanage to displace the (Ab)original parent. The new parent begins to foster the Québécois nation people and the First Nations, Inuit and Métis people, as well as her own natural children; it turns out she has a complex family to manage. While we may be tempted to say more on behalf of the Native people—and certainly many areas of broken relationship between them and the French and English-speaking members of the family have been documented—it is more appropriate that we listen to their own spokespersons and hear their own analysis of a pathway forward. The themes of lands and treaty rights, attempts to wipe out or assimilate their people and culture, separation of and from them by the settlers from the founding European peoples, various forms of abuse inflicted on them, and governmental and other crimes, ineptitude and injustice in dealing with Native people as groups, families and individuals all figure into a tragic story that only they have the right to tell to their victimizers and the world. There are moves toward reconciliation with other First People worldwide. Both South Africa and Australia have made some progress. Not all people interested in Reconciliation in this context see it in the essentially Christian terms of contrition and forgiveness. A more comprehensive approach might define it as taking mutually acceptable steps to move from antagonism to respect and trust. It is difficult to see how this can be done without acknowledging wrongdoing and then apologizing meaningfully enough so that it can be accepted and form a basis for a new relationship. To make it sufficiently transformative, a process of restorative justice may be needed, and some form of restitution may be part of that. At this point, if we want to go ahead with a genuine commitment to allow pertinent and lasting changes, it becomes evident that Reconciliation can be costly to both victim and perpetrator as a comprehensive transforming transaction is negotiated and effected. – Donald Gingras, Window of Hope…and Reconciliaiton, Appendix 1, p. 241. 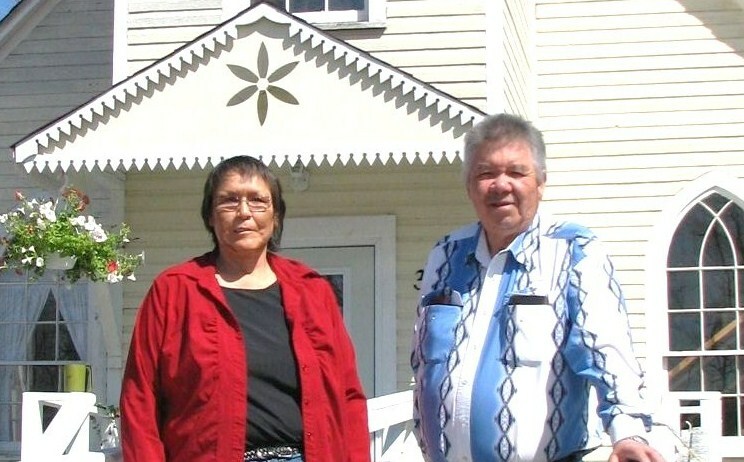 Consider the following statement from Liz and Bert Genaille, First Nation people, from Saskatchewan, who offer their personal perspective on their historic, ongoing conflict with French and English Canadians. Bert speaks for them in the remaining words of this appendix. 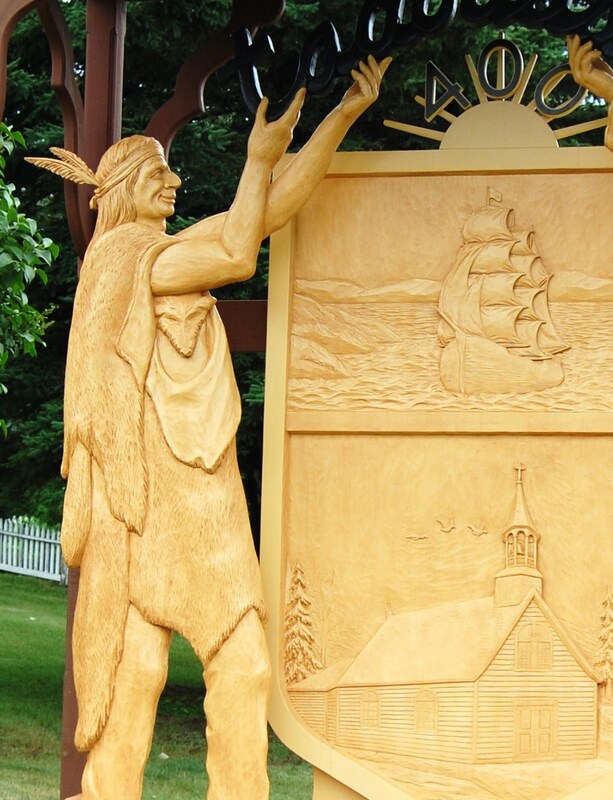 We have heard about Native people dealing with French and English Canadians to negotiate territorial rights and past hurting issues that are now exposed publicly. We have seen the government talking about buying peace through financial agreement or material compensation. And, as so many people observe, money alone cannot resolve the social and personal problems of my people. It is not more money, more power, and certainly it is not more isolation on our reserves that will resolve our issues. Donald’s message of Reconciliation reminded us that we are called for a greater purpose. “Hi Donald,I have just finished reading “Window of Hope and Reconciliation” English version. You have taken a very complicated problem and not only explained it in a way that anyone can understand but also offered the only solution. This is a “must read” for everyone in Canada. Sure hope you make this book widely known.” Congratulations! – Allen, Three Hills, Alberta. “Just finished reading your good book. Thanks for your hard work, honesty, openness re. your own spiritual journey. I loved the part where you equated your own spiritual journey (with it’s emptiness and lack of purpose, to Quebec’s experience). Hope you tell our young people in Quebec about the book. I learned so much as an Anglo Canadian about the history of Quebec, not just recent, but going all the way back 400 years. . .thanks for helping me understand. “I have just finished reading your book. Although I ‘m not normally a fan of history books, I do like reading biographies, and the format in which you have written the book made for very interesting reading, and I really enjoyed the book and the message it conveyed. It helpes us see ourselves more clearly as well as our country as a whole and how we have come to the place we are in our relationships with Quebec as well as the natives population as well as ourselves. I agree with you, the only way this will ever be solved is not by re-opening old wounds or by distancing ourselves from each other, but by the grace of God, through sincere reconciliation. I am eager to recommend this book to anyone – for its content, its readability and for its message. My son-in-law who is a pilot for West Jet is eager to read the book as he feels it may help him as he interfaces regularly with crew members from Quebec. – Jean Nicolas Laperle, Law ‘93, University of Sherbrooke; Founding President of Sonomax Canada, Montreal. – Bert Genaille, Native singer and conference speaker, Regina. – Richard Lougheed, Ph.D (Church History); professor at the Faculty of Evangelical Theology, University of Montreal. – Harold Lutzer, former Executive Director of Canadian Revival Fellowship, Regina. – Dr. Rad Zdero, Ph.D (Biomedical researcher); conference speaker; author, Toronto. – Marie-Andrée Gagnon, Translator; editor; Québécoise despite all opposition, Quebec. For a lot of us, Quebec is “that province” in the east that never seems happy—the nation who wants to be recognized as distinct within a country that doesn’t understand Quebeckers’ lack of enthusiasm. Canadians aren’t known for mixing their religion with their politics. That’s why it’s so hard for us to relate to these things…or see how intertwined they are. The church really only began to be separated from the state in the 1930s. The Quebecois’ resistance to the church’s control grew as new government and policies empowered them. Slowly, they stopped going to mass, and by the 1960’s, it became a mass exodus. Historians call it The Quiet Revolution. It’s as if the Quebecois woke up and realized all they had been missing. The self-disdain promoted by the church became love of self3, and Quebecois today are inspired more by pleasure than almost anything else.4 Today, in 2009, Quebec is known by many as the most secular part of North America. So when I got to Bible college in the west, I jumped on the Quebec bandwagon, spreading the news: Quebec was in spiritual crisis.5 We had to help. Many organizations dedicated to meeting Quebec’s spiritual needs will trumpet the statistics that indicate a dire problem: Quebec boasts some of the lowest rates in the country for marriage6 and Christian affiliation7, and some of the highest rates for cohabitation8, suicide9, abortion10, and divorce11. They understand that the province’s history with the Catholic church creates a barrier to conventional ministry practices. Anything that looks or sounds remotely like the old Catholicism that betrayed them (and contrary to what many Evangelicals may think, their Evangelicalism can look very similar) is out of the question. They’ve broken away from the rules they heard about for centuries, but ironically, to be French is still to be Catholic. It’s who they are—at least when infant baptisms, funerals, and Christmas midnight mass come up. That’s enough religion for them. I bought into it—all of it. More workers, more resources, contextualization, sensitivity to their fear of organized religion14, whatever. We needed to save Quebec! My father, also an Anglophone, is a born-and-raised Quebecker and 100 per cent bilingual15. He’s also a pastor. I asked him one day—if the need was so great in Quebec, why didn’t he go? He knew the language and the culture already, didn’t he? They don’t want to hear it from Anglophones, he said. English people aren’t unable to connect with French people because they don’t speak the same language or understand the culture, but because they are English. I was as aware of the political animosity in Quebec as anyone, I thought. I remember the tension, fear, and anger surrounding 1995’s referendum as clearly as yesterday. I even went to the “No” rally in Montreal, my heart swelling with (ignorant) pride at the wonderful show of support I was showing for my province and my country.16 So my father’s words made sense, but I didn’t see why our Englishness should stop us from trying to reach the people in Quebec. If their Canadian neighbours wouldn’t go to them, who would? My thinking changed when I met Donald Gingras a few years ago. He came to speak in college chapel, where he said something I’ll never, ever forget. He began with his story. Born and raised in Montreal, Quebec, he grew up French, Catholic; and with a bone to pick with the English. God took hold of him in his adulthood, and within a couple of years, he and his family found themselves on the wheat-covered prairies of Saskatchewan. One day in Caronport, he greeted another student on his way to the bookstore. To Gingras’ surprise, the student responded angrily: “What’s wrong with you Quebecois?” Then he began to vent. “The problem of Quebec is spiritual,” says Gingras. Reconciliation with God and with one another is the only way that Quebec—and the rest of this country—will ever feel whole. Et voilà, the Quebecois had a scapegoat. The picture is becoming clearer, isn’t it? The Quebecois are hurt, they’re angry, and they don’t want to be anymore. And according to Gingras, all of the political concessions in the world—even separation—won’t heal them. Gingras has devoted his life’s work to promoting this understanding on both sides. He speaks for Quebec because he can, offering remorse and forgiveness for these years of fighting. And the rest of us? We need to forgive, too. We need to love our neighbours—even the ones we don’t understand. We need to live the gospel, being reconciled with God and with one another. And we need to pray. Questions still remain. Will Quebec and Canada ever feel like equals who understand and care for one another? Will the Quebecois ever know their Creator or be transformed by the gospel? Gingras offers us something invaluable that was difficult to see through all the hurt, confusion, and resentment before. 1 Marc Ouellet, “Where is Québec going? On faith and secularism.” Chiesa online: News, analysis, and documents on the Catholic Church. [http://chiesa.espresso.repubblica.it/articolo/207117?eng=y] Accessed January 27, 2009. 2 Barry Whatley, Building for the Future: Sharpening the Tools of Spiritual Formation in the Quebec Evangelical Context. Doctoral Thesis, Gordon-Conwell Theological Seminary (October 2000): 43. 5 Chuck Colson testifies to this in an article entitled “On the Cusp of a Crisis.” BreakPoint. [http://www.breakpoint.org/listingarticle.asp?ID=1633] Accessed January 27, 2009. 6 In 2007, 2.9 marriages per 1,000 population. Source: Institut de la statistique du Quebec. [http://www.stat.gouv.qc.ca/donstat/societe/demographie/etat_matrm_marg/501a.htm] Accessed February 11, 2009. 7 See 2001 census from Statistics Canada for religious affiliations in Quebec. [http://www12.statcan.ca/english/census01/products/highlight/Religion/Page.cfm?Lang=E&Geo=PR&View=1a&Code=24&Table=1&StartRec=1&Sort=2&B1=Canada&B2=1] Accessed February 11, 2009. 8 In 2001, 29.8% of all Quebeckers lived common-law, compared to 11.7% in the rest of Canada. Source: The Daily, Statistics Canada. [http://www.statcan.gc.ca/daily-quotidien/070117/dq070117a-eng.htm] Accessed February 11, 2009. 9 The suicide rate appears to be dropping, but it is still the highest in Canada. Source: CBC news (online). [http://www.cbc.ca/canada/montreal/story/2009/02/02/mtl-suicide-rates-0202.html] Accessed February 11, 2009. 10 38.3 induced abortions per 100 live births in 2005, giving Quebec the second-highest abortion rate in Canada that year. From 2001-2004, it reported the highest rate in Canada with an average of 42 induced abortions per live birth. 11 In 2003, 46% of marriages in Quebec were expected to end in divorce before the 25th year of marriage. Source: Human Resources and Development Canada. [http://www4.hrsdc.gc.ca/.3ndic.1t.4r@-eng.jsp?iid=76] Accessed February 11, 2009. For many years, Quebec’s birth rate was also one of the lowest in Canada. Recently, however, it is on the rise, and even higher than the national average. Source: The Montreal Gazette (online). [http://www2.canada.com/montrealgazette/news/story.html?id=24e382d2-9ff2-45a4-9fc0-496f19753f73&k=90317] Accessed February 11, 2009. 12 “Let’s Face it.” (Video.) Quebec and Francophone Canada: PAOC Mission Canada. [http://qfc.paoc.org/spip.php?article16] Accessed January 27, 2009. 13 Personal blog. “Awakened2change.” [http://danielim.wordpress.com/2008/07/18/changing-the-perception-of-church-in-quebec/]] Accessed January 27, 2009. 14 See Glenn Smith, “Planting Churches in Quebec: A Challenging Task”, Northern Light Magazine (online). [http://www.wcg.ca/northernlight/2005_jul_aug/theme_smith.htm] Accessed February 11, 2009. 15 I use the term Quebecker instead of Quebecois intentionally. Although politically, the term Quebecois refers to all Quebeckers, I use it to refer to Francophones of European descent, who find their cultural identity in the term. I call other residents of Quebec Quebeckers. 16 English Canadians didn’t accomplish what they hoped to with the “No” rally in 1995. For many Quebecois, it was an insult. See Window of Hope, p. 192. 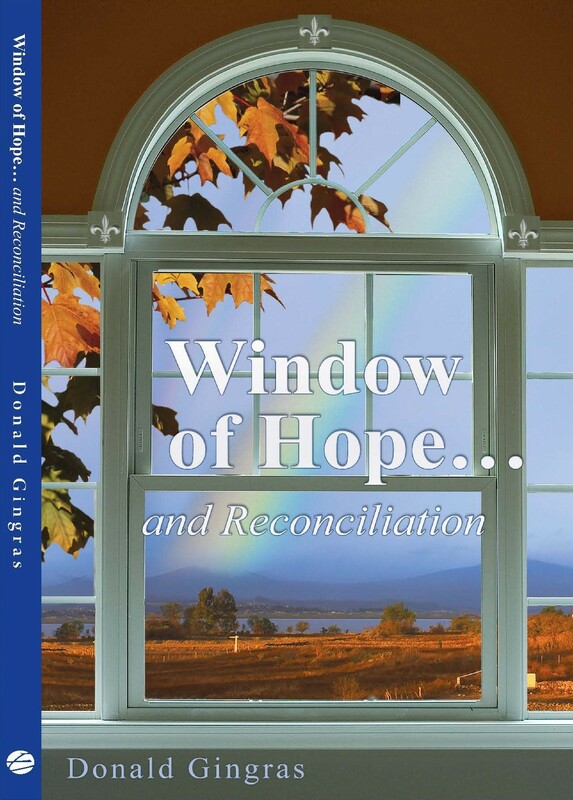 17 Donald Gingras, Window of Hope and Reconciliation (Belleville: Essence Publishing, 2008): 31. 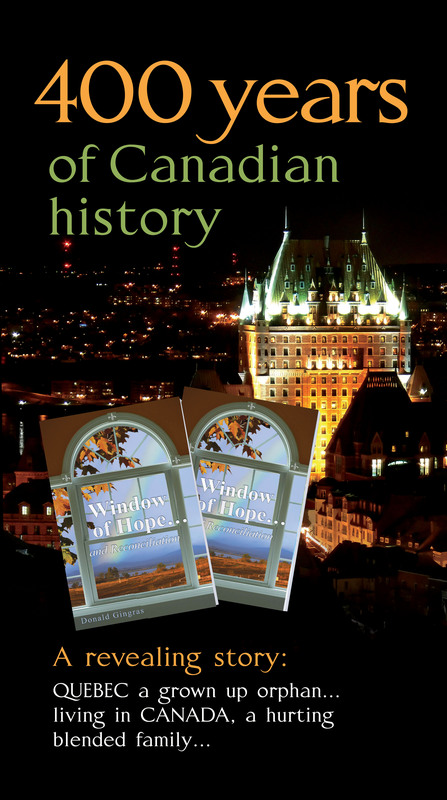 19 Gingras describes Quebec as a “grown-up orphan living in Canada, a hurting blended family.” Window of Hope, back cover. 20 Front de Liberation de Quebec. 21 Window of Hope, 168. 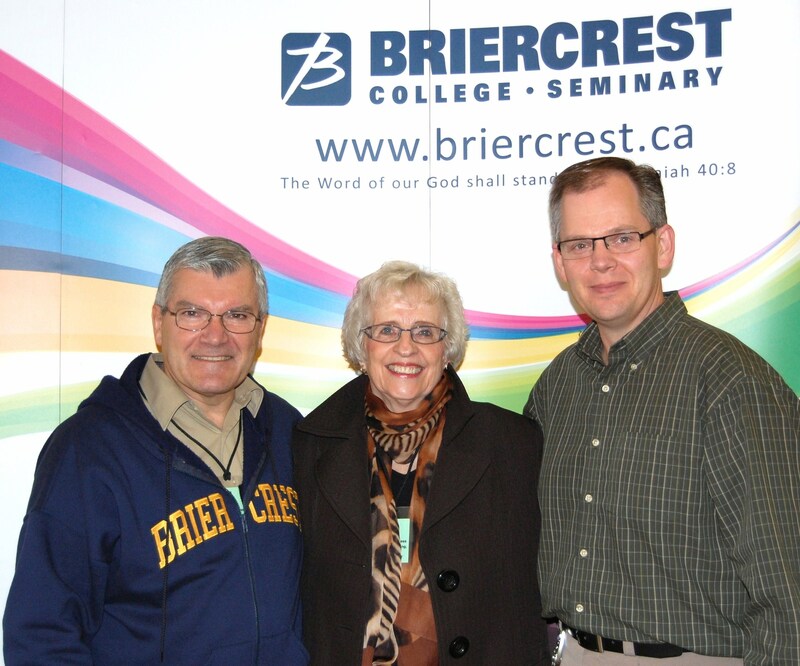 It was so good to see you at Stayner Family Camp (Ontario) recently. I have some wonderful news to share with you. The first evening that you shared about your ministry of reconciliation, my heart’s prayer was that I could be reconciled to my adopted mom whom I had not seen for 16 years. She is now 96 years old. This past Monday night August 24th I received a phone call from my adopted sister telling me that mom was in the hospital with terminal cancer and had been asking for me for 3 weeks. That is exactly when I had prayed at camp. The next day, August 25th. we went to the hospital to visit her and what a glorious time of reconciliation. She had been journaling the last few weeks and had asked for my forgiveness for the offences of the past that had kept us apart. I have also asked her to forgive me for not reconciling with her sooner and for all the years we missed together. I believe God in His wisdom directs our steps when the time is right. God has allowed me to share the scriptures with her and I believe in my heart that she has accepted Christ’s forgiveness.